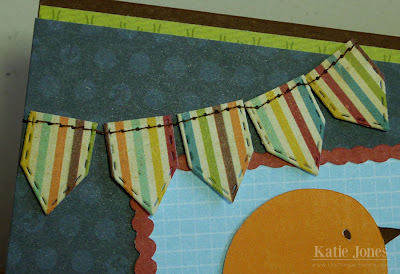 It's Thrifty Thursday with My Creative Time! This is the day we pull out our scrap drawers and see what we can put together! 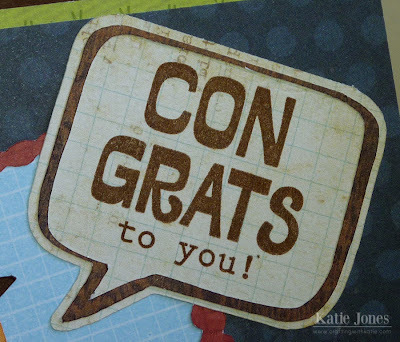 I made this card for another long-term sub at our school who got hired for next year. She is super excited for her first teaching position! Last weekend Provocraft offered free use of the new Cricut When I was a Kid cartridge in the Cricut Craft Room. There are some really fun cuts on this cartridge; I may have to purchase it! I cut this cute frame at 2.7", and the adorable little bird is cut at 2.2" from the Straight From the Nest cartridge. This speech bubble is also from When I Was a Kid. 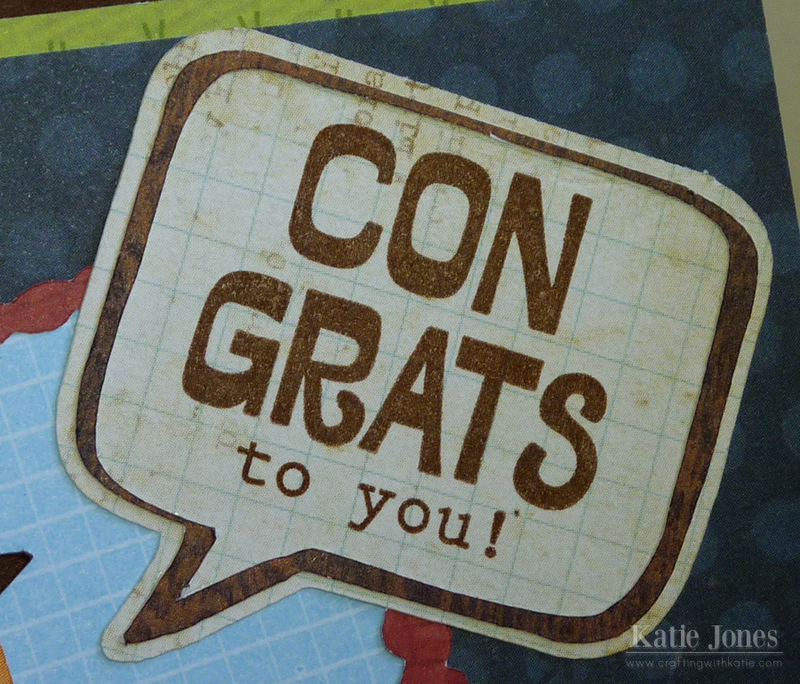 I cut it at 1.75", the perfect size for my fun sentiment from My Creative Time's It's All About You. Finally, I had found a long strip of this striped paper in my scraps that tied together the colors of the others scraps I used. I wanted to make a banner with it, but the piece wasn't big enough to use the MCT Teeny Tag dies full size. So, I just die cut them half the size and stitched them together with my sewing machine. 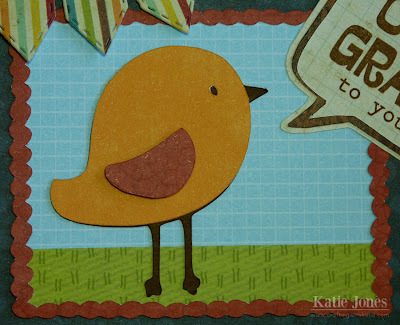 Be sure to stop by My Creative Time to see what Emma and the rest of the design team have put together for you with their scraps! Cute card love all the goodies you used together to create it. Ooooh Katie I just received my When I Was A Kid cartridge yesterday and I am truly amazed with it .... it's the best cartridge ever!! You are truly one talented and creative gal and you sure made the new teacher so happy how thoughtful of you. 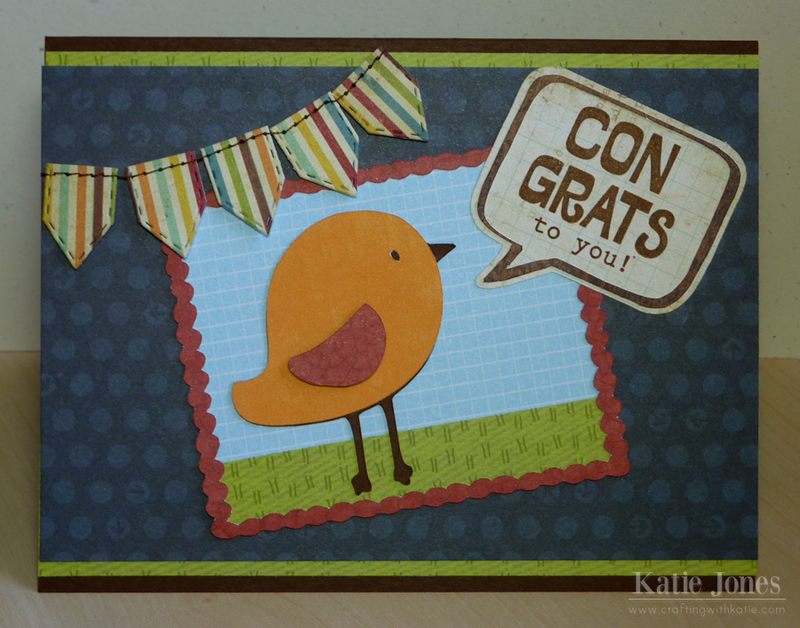 Way to go using your scraps :D Super cute card. Cute card, I love the banner!